Rory McIlroy has been warned he could be in for an "uncomfortable" experience during the Ryder Cup, at the hands of his own captain! European skipper Thomas Bjorn has promised to have his revenge after falling victim to a prank orchestrated by McIlroy last week, with Henrik Stenson, Ian Poulter and Tommy Fleetwood also in on the joke. McIlroy rang the Dane from his car in Philadelphia and asked him to consider purchasing "cryotherapy chambers", costing around £20,000 each, for every member of the European team at Le Golf National, insisting they would improve performance by aiding recovery. As his three team-mates struggled to stifle their laughter, Poulter prompted McIlroy to inform Bjorn that the chambers were also good for promoting weight loss - perhaps a sly dig at the captain's generous waistline. Could Rory McIlroy and his European Ryder Cup team-mates convince Thomas Bjorn to splash the cash on cryotherapy chambers? 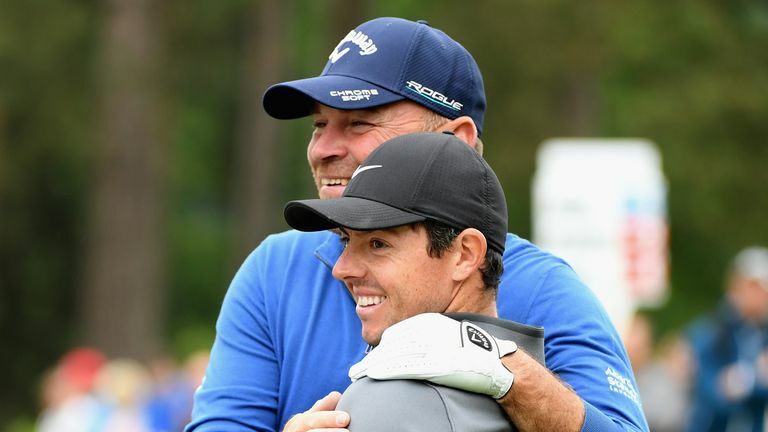 Bjorn accepted McIlroy's 'idea' in good faith and promised to look into it with European Tour officials, but McIlroy later posted a video of the conversation on social media revealing the call to be a set-up. Speaking about the prank, Bjorn admitted he "had no idea" what McIlroy was talking about and conceded he'd been had, but the Dane is already plotting how to get his own back when the team gets to Paris. Watch the video above to hear Bjorn's reaction to the prank from McIlroy and co, and what they can expect as a riposte. And don't miss a shot from the 2018 Ryder Cup at Le Golf National, with comprehensive live coverage throughout the week on Sky Sports.